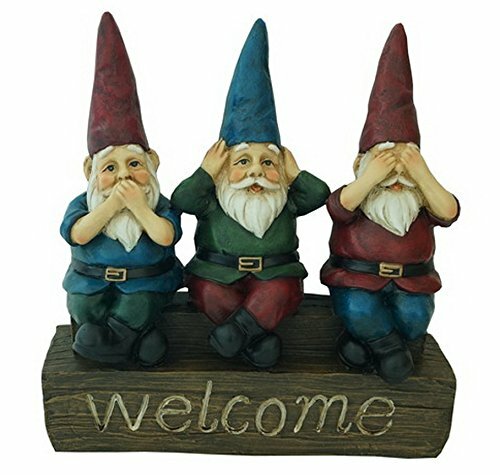 No Evil - 11" Welcome Garden Gnomes - See no evil, Hear no evil, Speak no evil Figurine by Harmony Fountains HF-G10 | Fountain City Art Ctr. Made of durable cast resin, this handmade garden statue will last you years of use. Finished and hand painted by skilled artisans, this garden figurine is a great addition to any outdoor setting.